“The pain can be particularly profound when friends or neighbors are lost or social support is unavailable or when a home is destroyed”, says Bill O’Callahan, assistant director of emergency services for the Red Cross, ”Losing a home is like losing a limb”. When a natural disaster hits anywhere in the world, it’s easy to focus on the physical destruction. Almost one million homes were completely destroyed or damaged during hurricane Katrina. In the 2010 Haiti earthquake, the number of affected houses was 300,000, resulting in 1.5 million people immediately finding themselves homeless. It’s easy to see the large number and not comprehend the total enormity of the situation. Yes, people are physically displaced, but it goes beyond this concept. It’s the part we can’t see or witness by watching the news. Mentally, a home does more than provide a location to reside in and raise your family. A home is where you keep your memories, your photos, and spend your life feeling safe. It’s where your social network and community are deeply rooted. When a natural disaster occurs, it quickly can incite extreme stress, depression, generalized anxiety, issues revolving around food, OCD, along with many other problems. According to Dr. Daniella David, a clinical psychologist, a population experiencing something like an earthquake of Haiti’s magnitude will typically translate to roughly 10 percent of those affected with PTSD and another 10 percent with depression, based on studies of Hurricane Katrina, 9/11, and other events. But among those who lose their homes and loved ones in an event like this, the rates can be more like 40 to 50 percent. For many, things will never be the same as they simply cannot go back to the way they once were. This is especially true for countries like Haiti where the population was already struggling pre-disaster from a weak social and economic situation. This heavily ups the chance for higher rates of mental illness and a slower recovery. The good news is that as humans, we are naturally resilient. It’s hard to keep us down in the long-term as long as we get the assistance we need. Mental health problems are some of the most common side effects of natural disasters. It’s only when people aren’t returned to a normal way of living that things like PTSD, anxiety, and depression start to happen. That’s why it’s so important to act when a natural disaster instantly increases the number of homeless for a specific region. If we can find a way to bring housing and services to those in need, people will naturally bounce back without suffering psychologically. First Thing’s First, What is Emergency Disaster Relief? Natural disasters can strike at any time with little or no warning. When they do, they can have a devastating impact on the people and places they hit. Many lose it all: loved ones, homes and possessions. Victims of disasters not only have to rebuild their physical dwellings – they have to rebuild their lives. Luckily, there are organizations dedicated to helping those affected by these tragedies. This immediate response is called disaster relief, or emergency disaster relief. Over the years, organization like UNICEF and The Red Cross have worked tirelessly to perfect the process of aiding those in crisis. By soliciting donations and with the help of thousands of volunteers worldwide, those affected by natural disasters are able to receive temporary shelter, food, water and emotional support. What is Post Disaster Relief? After the initial phase of disaster relief has passed, long-term relief and rebuilding begins. In some cases, rebuilding after a large disaster can take years, and some areas may never completely recover. Countries like Haiti are hit with natural disasters often, so rebuilding can seem like a continuous effort. There are many organizations that help with post disaster relief, including Build Abroad. 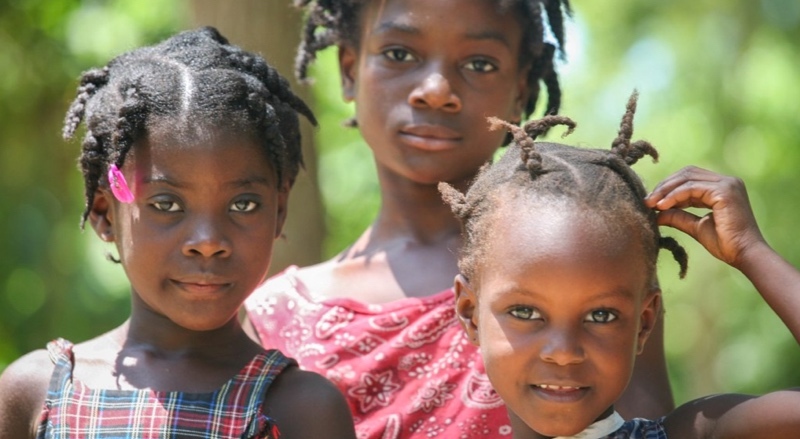 By providing volunteer labor, Build Abroad helps Haitians rebuild faster and more efficiently. This allows them to focus less on rebuilding and more on getting their lives back on track. Without the help of volunteers, children cannot go back to school and adults cannot go back to work. Why Do People Stay in Disaster Prone Areas? The answer is simple: it is their home. Also, quite often, people living in disaster prone areas like Haiti do not have the means to pick up and move somewhere else. The best they can do is rebuild stronger homes and rely on the help of relief organizations and volunteers. 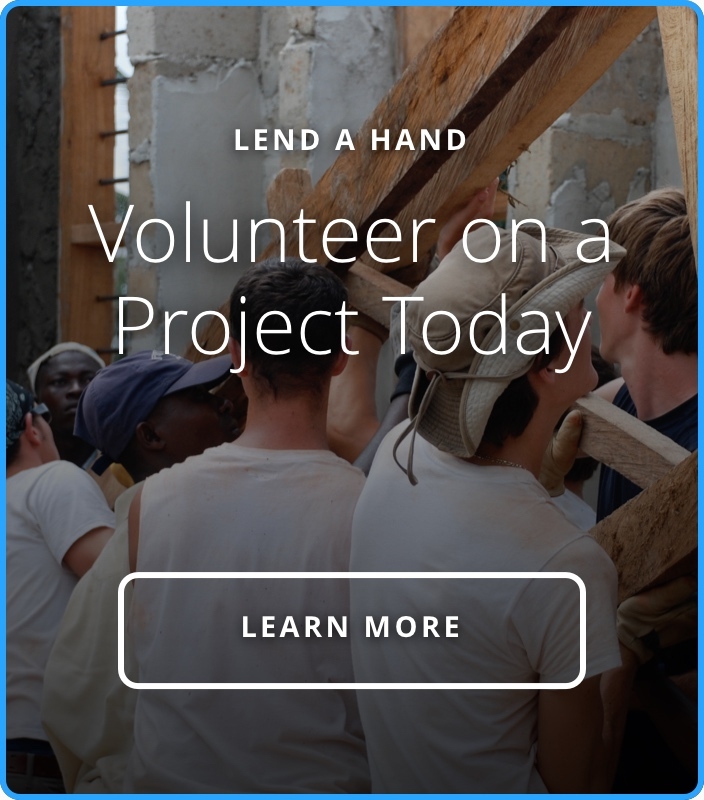 Build Abroad has two locations that focus on post disaster relief; Haiti and Nepal. Both locations were hit by devastating earthquakes in the last decade. Although the initial disaster relief efforts have slowed, the long term effects are still very evident. Some people make due with a partially finished home, while other public buildings stand unfixed due to lack of funding. This visual reminds the community every day of the struggle they went through. In addition to this, the housing itself causes major harm to the families living there. Unfinished or poorly built housing creates many health problems. Dirt floors are a breeding ground for disease, and in some cases, loved ones are literally dying because of the house they are living in. It goes without saying that losing a loved one will leave a mark on the remaining living family members. This is the reason why Build Abroad focuses specifically on housing in our Haiti location. Despite all of this, communities in Haiti and Nepal still remain strong. With everyone going through the same struggle, there tends to be a certain level of closeness that has come about through disaster. In Nepal after the 2015 earthquake, a small community of about 200 people formed a temporary camp since most of their homes were either destroyed or remained too unsafe to live in. The community stuck together. The men and women worked to scavenge and demolish unsafe buildings while children were able to play in safe places set up by local NGOs. In Haiti, you can see a similar sense of community, even though the disaster they are recovering from happened back in 2010. When Build Abroad builds homes here, it is not uncommon to see the entire community come together to help. Neighbors help neighbors to overcome the hardships they all went through.